The real truth is, you can only have so many functional decorating items before you just want some thing fun and only for display. That’s the way I am, anyway. Ah, just because I like a figurine, I want to add it to my kitchen decor. In a Fat Chef kitchen theme, isn’t that the best part? Adding things that we like. Surrounding ourselves with stuff we like. Especially while working in the kitchen. It’s actually easy to start looking around your kitchen and find unusual places to add an extra fat chef figurine or two. Especially when you like surrounding yourself with those things that make you feel good. You might be a collector of fat chef stuff. I personally know someone who has done that. She has been collecting for years and has some of the most unique fat chef figurines I have ever seen. By the way, she refuses to sell them to anyone! 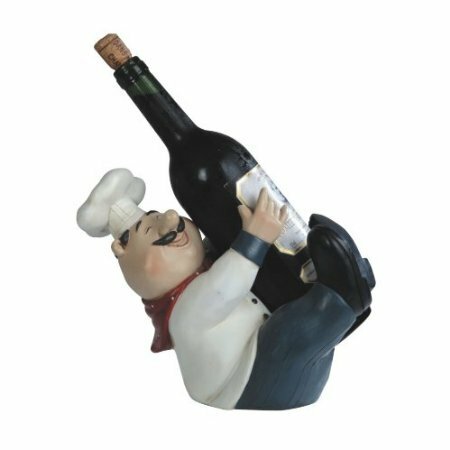 But, whether you collect them or just enjoy adding pieces as you find things you like, a few extra fat chef figurines in your kitchen is just plain fun. So pick out a few that you really like. Then add them to your fat chef kitchen decor. You’ll end up with a room that you enjoy being in. This entry was posted on April 14, 2014 by buckhawk in Fat Chef Kitchen and tagged fat chef decorating, fat chef figurines, fat chef kitchen.